Every time I get a craft project in my head and head to the craft store I know that it’s going to cost me like $90. That is why lately I am hitting you with the SIMPLE stuff. The stuff that only requires mere scraps of paper (or printer paper- you have that right?) to create. Truthfully I got this idea because while going through the holiday aisle at a local store I noticed a bag of them were like $5. No thanks. These took me 30 seconds and a few construction paper leftovers to create. And as a plus even the most novice crafter (or child) can create them in no time. Cut out a heart. The size of the heart will depend on the size of what you are “topping”. Use logic here. Lay down your straw and mark on either side in a light pencil. 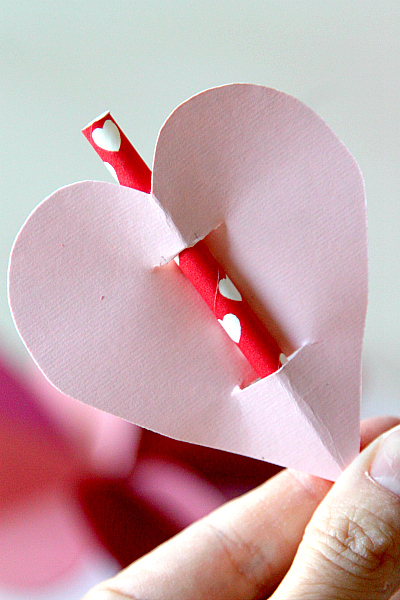 Fold the heart in half and cut a slit just big enough for you to slip your straw into. Marvel at how easy that was and make a whole jar full. 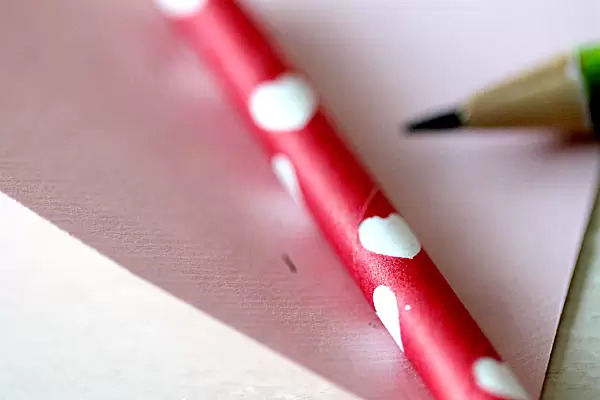 You can use this trick for Valentines (think of the puns: You are just ‘WRITE’, You are ‘WRITE’ for me, and on and on”) and pass them out as a candy free alternative. Foodie? Make little ones for toothpicks to stick in your cupcakes! 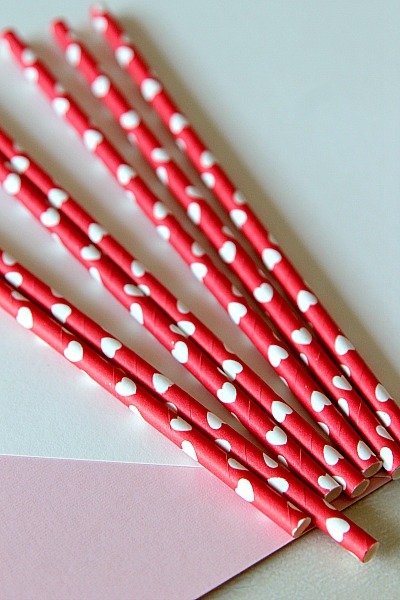 Or you could just do it for no good reason like I did…cute straws and pencils. Like this? Don’t forget to pin, save, and share! These are super-cute! Thanks for sharing over at our Weekend Wind-down Party! Really cute idea for Valentines Day, thanks for sharing. Hello, this is such a cute idea! I’m pinning it to my valentines board on pinterest! What a cute and easy idea!! I love it!!! These are super cute and I love how easy they are to make. They would make great Valentines! Super cute! I think my 6 year old could do these very easily and she would love it. Great idea! These are so cute! I love how cheap and easy they are to make. Cute way to add a festive touch without having to buy a bunch of supplies. I think I’ll have the girls make some of these for their class parties to put on pencils. Here’s a craft even a mom stuck in survival mode can make time for. Thanks! 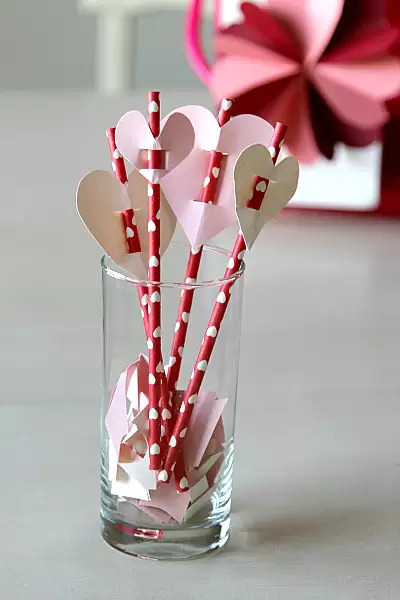 Creative and versatile and inexpensive, just my kind of craft.These are cute and I love those straws. I agree with you on the craft store expenses. I cannot enter one and come out with just what I went in for. What a great idea. Sometimes the simple crafts make a bigger impact than the larger ones. What a great easy project for kids! 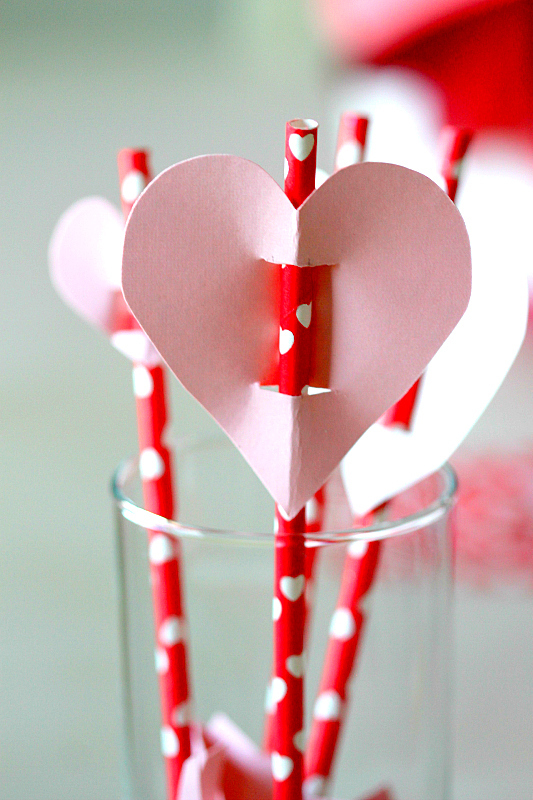 And those straws are super cute too! 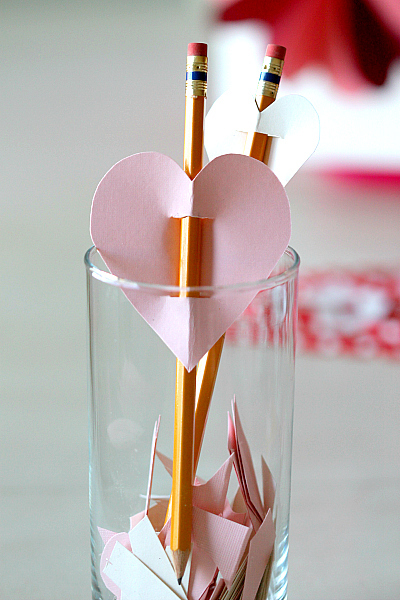 We will be making these for the kids valentine loot bags! Planning on working on these this weekend so we are ahead of the game! easy peasy! I think this is one that would be great for my daughter to make on her own. This is a great idea for last minute Valentine’s! What a cute and simple idea! I could see this as a cute class vanlentine idea for the kiddo! So simple even I could do it! This would be great for my son’s party – pinning!